As sealing of insulation joint. For waterproof seal around sash. It has adhesive strength, it can be cut with scissors, so it is rich in workability, it has durability and waterproofness so it is easy to work because it can not be torn by hand. This review is about item#39541695. 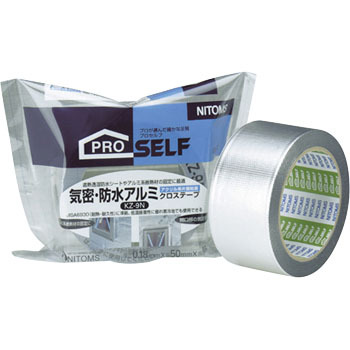 I think that it is a very good product, because it has adhesive strength, strength is also called aluminum cloth.